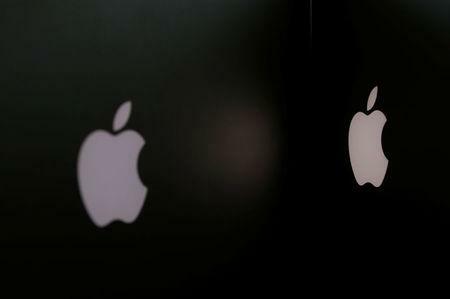 (Reuters) - Apple Inc on Thursday launched a television advertising campaign promoting its stance on data privacy, seeking to differentiate itself from tech industry rivals such as Alphabet Inc's Google and Facebook Inc that have become the target of regulatory scrutiny over the issue. The 45-second commercial will begin airing on U.S. TV stations Thursday and run throughout the National Collegiate Athletic Association's annual "March Madness" basketball tournament that draws millions of viewers, Apple said. The ad will be shown in other countries later, but Apple declined to say whether it would air in China or how much it was spending on the campaign. The spot shows a variety situations such as people closing window blinds, doors or shower curtains to seek privacy and says, "If privacy matters in your life, it should matter to the phone your life is on. Privacy. That's iPhone." Apple Chief Executive Tim Cook has frequently spoken about the company's position against the collection of personal data. In particular, Cook has singled out the assembly of profiles of consumers for the purpose of targeting advertisements - the heart of how Google and Facebook make money. But the television spot is the first time the Apple has pressed the issue to consumers in a national ad campaign. Apple's only previous privacy advertisement was a billboard at the Consumer Electronics Show in Las Vegas in January that said, "What happens on your iPhone, stays on your iPhone." Apple's campaign comes as large technology companies are under unprecedented scrutiny of their data privacy practices. Google and Facebook have drawn consumer lawsuits and inquiries from lawmakers. Both companies have said they are making changes to boost user privacy. Last week, Facebook founder Mark Zuckerberg said the company plans to encrypt more of the conversations happening on its messaging services, which could limit Facebook's visibility into those conversations. Apple's primary rival is Google, which makes the Android operating system that powers most of the world's mobile phones. Google this week said it is working on privacy enhancements for Android, such as locking down access to a phone's camera and microphone. For its part, Apple is trying to persuade consumers that it can provide competitive features, such as customized news reading lists, without Apple viewing their data. Apple's phones do collect data on consumers, but the company has said that it cannot view that data because it remains encrypted with a personal postcode on the user's device or has identifying information stripped away before being sent to Apple.